Have you always wanted to renew your wedding vows on Valentine's Day with knights, a royal court and hundreds of guests gnawing on chicken legs in attendance? 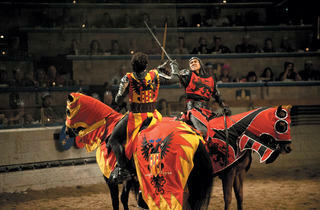 That's what couples in the Chicagoland area will have the chance to do at Medieval Times on the most romantic day of the year. 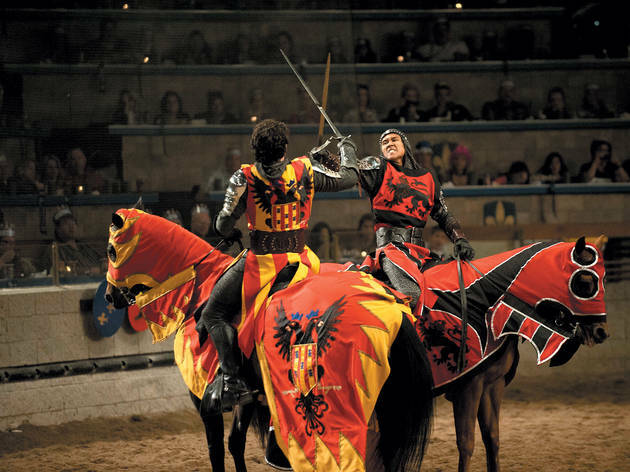 The Schaumburg dinner theater is inviting couples to come and renew their vows for it's Valiant Valentine's Day celebration, which will be officiated by Queen Maria Isabella. The first 50 couples to sign up will receive a pair of tickets to that night's Valentine’s Day Dinner & Tournament, two champagne flutes and a framed photo. There isn't a dress code, but if you have an 11th-century gown or some chain mail in your closet, this seems like the proper occasion to wear them. The vow renewal ceremony begins at 1:30 pm on Thursday, February 14, and will be followed by a reception with medieval wedding cake and champagne. To participate, willing couples must pre-register for complimentary tickets.